Antioch, IL - November 14, 2017 – Hunter jumper trainer Serah Vogus, 34, is a breath of fresh air for the historic Millcreek Farm on Edwards Road in Antioch, Illinois. Vogus signed a lease with the Antioch School District, who owns the property, and now she is giving the farm new life. Vogus is all about growth when it comes to Millcreek. 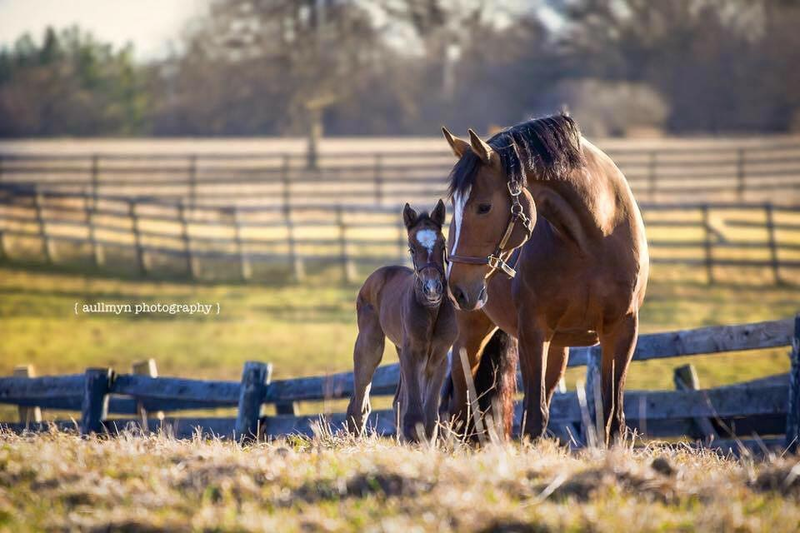 It’s been her life-long dream to have her own farm and now with the lease in place, Vogus has big plans to update the property and grow her equine business. Millcreek is just under 100 acres with generous turnout and 40 stalls up to 14’ x 14’ in size. The fully heated main barn includes a tack room, office, wash stalls, laundry, large aisles and a 52’ x 160’ indoor arena. The farm also has an indoor hot-walker, a 95 ‘x 225’ outdoor arena along spacious grass riding areas and trails. 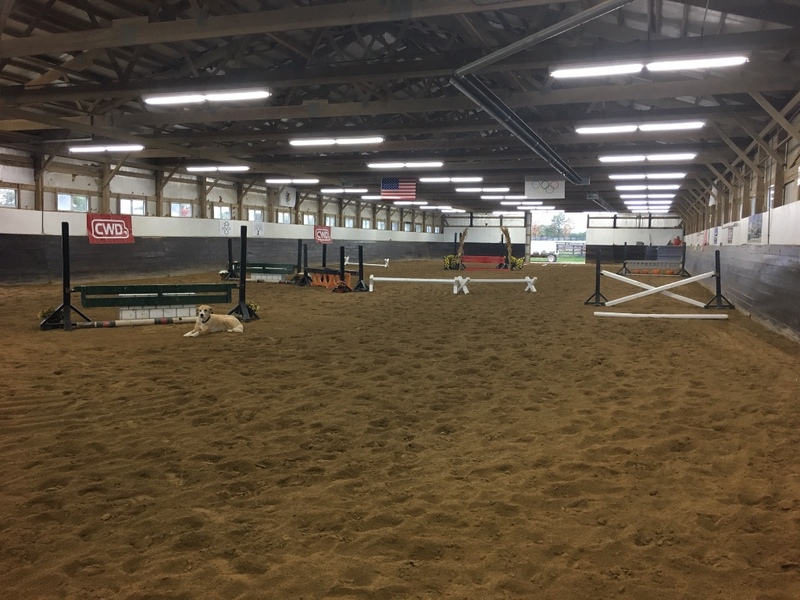 The improvements to the property include a new roof on the hay barn, a new roof on the main barn, new fencing and an upgraded indoor arena and restrooms. Future plans include a derby field and a lounge/viewing area for the indoor arena. With renovations already taking place, Vogus plans to fill up the barn and make it a hub for equestrian education. 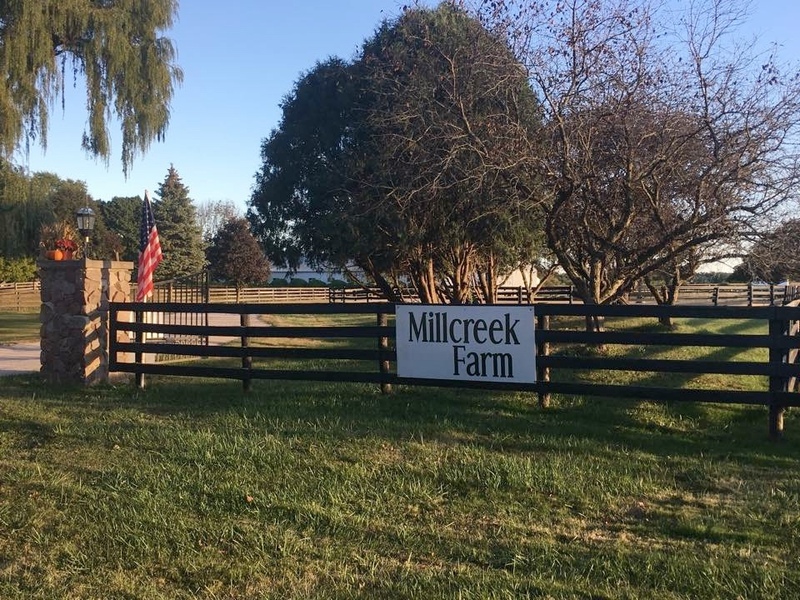 Her mission is for Millcreek to be a place of growth for riders, horses and people. She hosts the Lake Forest College Equestrian Team to share her knowledge with college students and runs a full boarding, training and showing business. A die-hard Clemson University fan, Vogus graduated with degrees in Spanish and Sociology. Her passion for more equine knowledge took her to Chile for a year where she studied with Olympian Carlos Milthaler. She also spent time working with Leading Jumper Owner/Trainer Andrea King and top grand prix rider Aaron Vale. Vogus also regularly participates in the George H. Morris Chicago Clinic, learning from the legendary horseman. 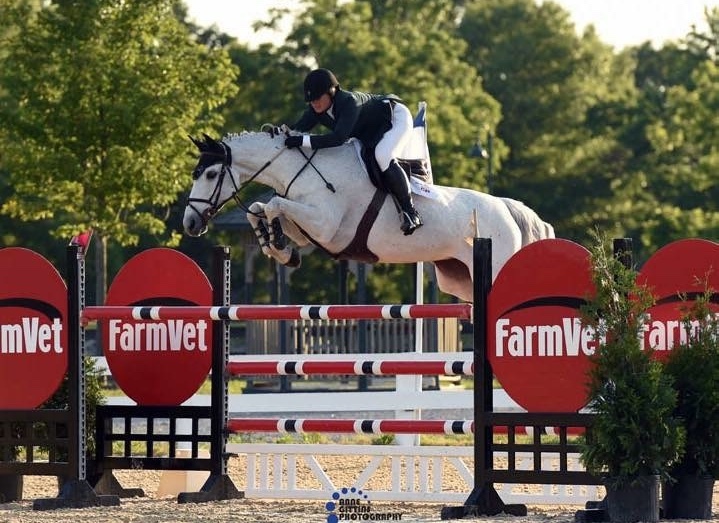 She attends clinics and training sessions as much as possible, including the prestigious George Morris Gladstone Clinic in 2015, which included a collaboration of equestrian professionals and Olympians for an outstanding experience. Millcreek holds special events, camps and clinics to emphasize the care of the horse. To help fill the newly renovated barn, Vogus has a young four-year-old warmblood mare arriving from Belgium in foal to the stallion Untouchable 27, ranked the 3rd best sire in the Dutch stallion ranking for 2016. Millcreek held the American Holsteiner Breeding Stock Approvals in September where Vogus’s colt was awarded Merit Foal status. Vogus has spent her entire riding career bringing along her own young horses including her grand prix mount that she taught to jump from the very first jump up to the grand prix level. Vogus purchased the mare she plans to ride in the George Morris clinic as a yearling and has put every step into her so she is now able to participate at the level required for the clinic. 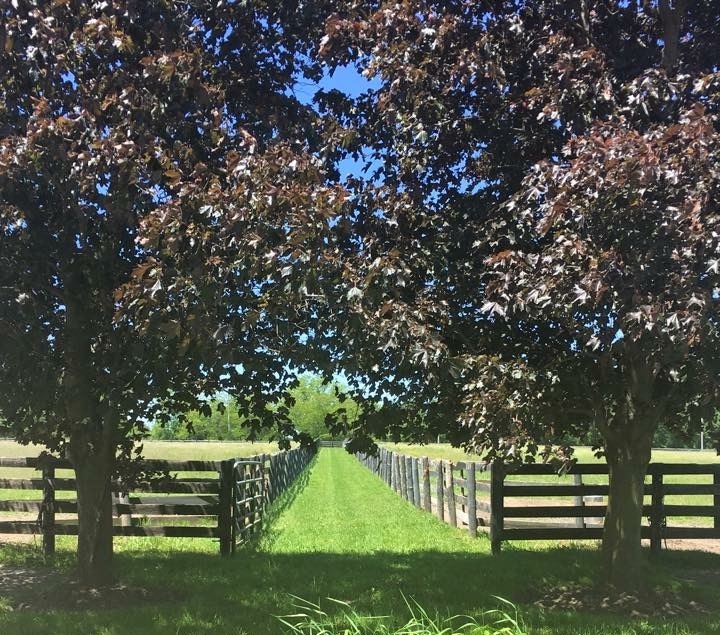 With the lease secured and improvements underway, Vogus is set to fulfill her dream and continues to be a wonderful source for equestrian education for both horses and riders. She plans to keep Millcreek alive and growing, adding new life to the historic property. Used Tack & Estate Sale at Millcreek November 19th, 10am. Furniture, tack, farm equipment, blankets and more. George Morris Chicago Clinic November 24-26th, Annali-Brookwood Farm, 18752 Edwards Road, Antioch. 9-4:30 daily, $100 per person per day to audit, lunch included.